Everyone loves their own photograph. Imagine if you can convert your photograph to a cartoon a character. This is exactly what these cartoon yourself apps will do for you. It is very easy to convert your photograph into a nice cartoon picture. The steps are very simple, all you need to do is to download one of the cartoon yourself apps listed below. Choose your perfect photograph and then choose your favorite character and you are done. You will have a great picture of yourself as a cartoon character. One of the newest and best apps in this list is Cartoon Sketch. The developers have done a wonderful jobs with all the cartoon filters. All the depth and detailed corners are covered by the developers. 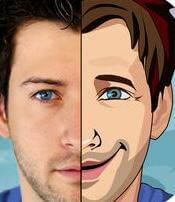 Easily transform your image in to a perfect cartoon in no time. You also can easily crop or rotate your image before you convert it to a cartoon image. 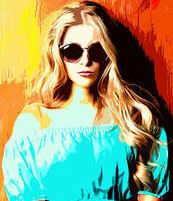 You can choose from many cartoon and sketch shades to give your image a perfect look. There are over 15+ frames included here in this app. Once you are done with the conversion, you can easily share your picture in social media, hence you would be able to gain more likes. 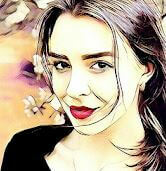 Another cool and pretty famous apps among the cartoon sketch lovers is Cartoon Face app. This app is specially designed for face pictures.Hence if you are looking just convert your face picture to a cartoon, then this app is for you. You can take the selfie and convert it into a cartoon picture in no time. Cartoon Face app has various cartoon filters like broad smile, oops face, sad face and wink expression. With Cartoon Face-selfie foto edit , you also can convert your selfie into black and white cartoon selfie. They have many free backgrounds, free face filters and lots of awesome and cool stuff. Cartoon Face is definitely one of the better cartoon yourself apps. 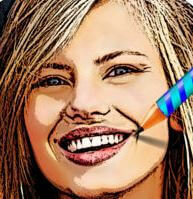 Photo to Cartoon Yourself app lets you perform the conversion of your photo to a cartoon very easily. As a result, this is pretty handy app when you need some instant results. To convert, you can take a new photo or select a photo from album as well. You can edit the brightness, contrast and sharpness as well. Cartoon Photo Filters, you can make your selfie from normal to glamorous selfie with few touch. Cartoon Photo Filter app has also provided various options for cartoon animation filters & art blending filters and cartoon & sketch& Art effects. Sharing on social media has never been so easy. This is pretty decent app. The best part that I liked about this app is that you can also make a video and that to like a cartoon. 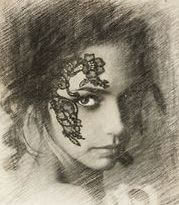 There are tons of options that you can use as filter for fun Cartoon & Comic. As the name goes, it is very easy to turn your photograph into a lovely sensible cartoon. You just need to choose from your photograph and then choose a filter and you are god to go. You also get to add amazing and funny caption into your cartoon image. Photo Cartoon Camera is prominent photograph cartoon your app. It has wide variety of filters that you can use. Hence it is used by many people who are interested in using multiple filters. This app is easy to use and has multiple options. It was also awarded as the best app in several countries in the year 2016. They have some of the amazing options for photo editing. All-in-one Cartoon Camera & Filter Camera & Photo editor pro app. You can create pop art photo. Pencil cartoon, and various other filters to use. You also get to make a live Photo Collage. Be Funky is another great app in this list of free cartoon yourself apps. As the name suggests, this is a funky app that can easily turn your selfie into a cartoon picture that you will absolutely love. It has got some amazing editing options and comes stocked with powerful photo editing tools. There is absolutely no registration required and no ads as well. hence this is a win win situation app for you. Apart from converting your photo to a cartoon like character, it also has some marvelous photo frames that you can use. It also has got touch up edits, photo over lays. Another awesome feature is photo frame that you can use. There is also an option to share your image on social media instantly.